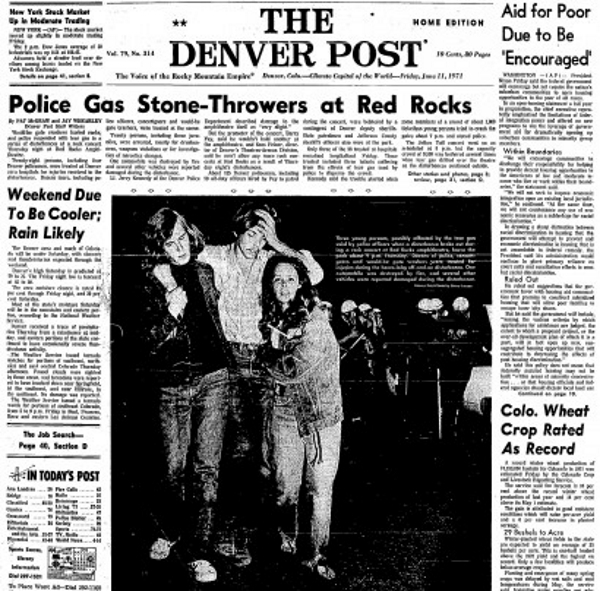 Forty years ago, Jethro Tull played an apocalyptic show at Red Rocks Amphitheatre amid tear gas, unruly crowds, hurled rocks, violent police officers and a swooping police helicopter. It was to be the end of rock 'n' roll at Red Rocks forever. And for the five years after the concert, there was no rock music at the legendary mountain amphitheater. "It was an overreaction by the police at the time, who had helicopters in the air," Tull frontman Ian Anderson said recently from his office in southwest England. "We charged through police roadblocks, and I ran straight onto the stage and talked to the audience. (The police) knew there would be a full-scale riot if they arrested me." Anderson laughs about it now, calling it "a Top 10 strange/weird moment" while discussing his band's Red Rocks date, scheduled for Wednesday, only two days shy of that fateful show's 40th anniversary. It's fitting that Tull is playing Red Rocks on this tour, also the 40th anniversary of the record they were touring then, "Aqualung." So what exactly happened that night in June 1971? From 1,000 to 2,000 fans showed up without tickets to the sold-out concert, and they were directed by Denver police to a side of the mountain where they could watch the show. Some stayed there. Others climbed a wall into the venue. Others charged the gates en masse. Back-up officers were called, and police chief George Seaton came out in the helicopter and dropped tear gas on the unruly masses himself. But the gas spread into the amphitheater, where Livingston Taylor was opening the concert, and suddenly a bad situation got worse. "Backstage looked like an aid station, with doctors and patients sprawled out everywhere," remembered retired promoter Barry Fey. "Boy, did I (mess) up. I didn't realize how big they were. We should have done two shows." It's hard to imagine now, but rock music wasn't always welcome at the Morrison amphitheater. It was already a hard sell in city-owned venues, Red Rocks included, because of a violence at an Iron Butterfly concert at the Auditorium Arena in the late '60s. But Fey had specially petitioned for the Tull concert, and he got it. "Barry learned the hard way that you have to get three or four nights with an artist like that," said Jerry Kennedy, who was a captain with the Denver Police Department in 1971 and later a division chief. "I was running the police up there, and the place was under assault by thousands of people who wanted to get in. They decided they were going to rush the place, and that's what caused the battle. "They were throwing rocks. And I didn't see it, but I heard that some of the officers were throwing rocks back at them. It was the first real incident of that kind that I'd seen." Amid all of this, Tull was devising a way to enter the amphitheater, which had been blockaded by the police. Anderson remembers charging through the police barricade and knowing that he was the only person who could calm the capacity crowd — which was swimming in tear gas at the moment. "(The police) tried to turn us back and say, 'You're not allowed to go up there,' so we just charged the gate," Anderson said. "We jumped out of the cars and ran straight on stage to talk to the audience. "It was like the Russians putting a flag on the ocean bed under the Arctic ice. Once you've done it, staked the claim, it's tough to dislodge you. Once I was on stage in front of a microphone, they cops realized that they had to stand back." Anderson soothed the crowd and told them they were going to get a full set of music. He told them to put clothing over their mouths, and he encouraged parents with babies and small children to come to the apron so they could access the makeshift hospital set up backstage. "People were passing babies down through the audience," Anderson said. It was a mess of an evening. But like Woodstock and Altamont before it, the concert was also a snapshot of America as it formed its relationship with rock 'n' roll. "Back in the early '70s, they didn't know how to cope with rock concerts and rock people," Anderson said. "The big production and how the audience behaved. . . . People now have more understanding, and civil and social savvy. They have an awareness about what it all is." Exiting the amphitheater proved to be as difficult as entering for the band, Anderson remembered. "(The police) tried to get us on the way back down," he said. "They were looking for us, but we were hidden under blankets in the back of a station wagon. They didn't find us, and we got out of town." But the band left a trail of controversy. 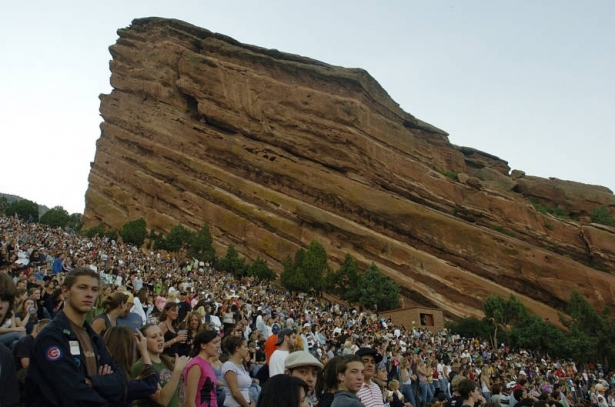 Police chief Seaton recommended a ban on rock concerts at Red Rocks. Mayor William McNichols said there wouldn't be rock shows there as long as he was mayor. And even Fey agreed, telling The Denver Post at the time that he wouldn't throw any more rock concerts there. Of course, that didn't last long. Fey sued the city in 1975, and a U.S. Circuit Court judge ruled in his favor. As Fey remembers it, the judge put this question to Denver leaders: "Who do you think you are, czars? You're going to tell the people what they should listen to?" Rock returned to the Rocks in '75, and Fey's popular "Summer of Stars" found its start in '76. "We went on to do hundreds of concerts there without a lick of problems because (Barry) got a handle on the problem," retired division chief Kennedy said. "But in terms of problems, I encountered at venues over my career, that ranks in the top two or three." And it would have been worse if Tull had taken advantage of the act-of-God clause in its contract. "The clause says that if anything crazy happens beyond the control of the band, they have the right not to play," Fey said. "But he did play, and he played a full set. 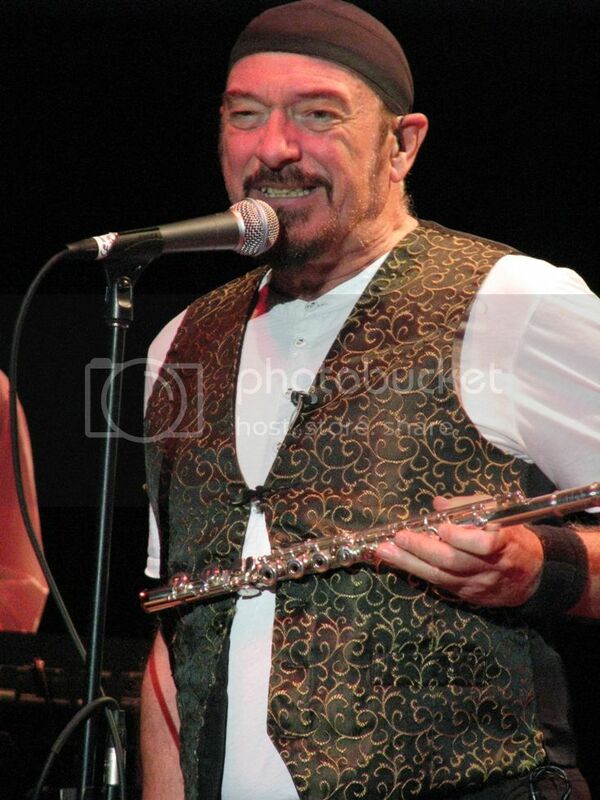 "Ian Anderson is still my hero to this day. He went up there and hopped around with his flute and actually played a full set in the middle of the tear gas, in the middle of everything." "Back in the early '70s, they didn't know how to cope with rock concerts and rock people," Anderson said. "The big production and how the audience behaved. . . .
People now have more understanding, and civil and social savvy. They have an awareness about what it all is." In 2008 things were so much nicer... "God Bless Jethro Tull"
On June 10, 1971, a large group of rock fans attempted to bum-rush the gates at Red Rocks Amphitheatre in an effort to see the band Jethro Tull. In the aftermath of that event, the City of Denver imposed a ban on all "rock" shows at the venue, which didn't turn out quite how the City (mainly Mayor Bill McNichols) planned. In fact, the city's rock ban actually wound up spurring on one of the most successful concert series of all time and catapulted Red Rocks into the realm of concert venue legend. If you're having trouble imagining how a Jethro Tull concert could turn into a riot, it might be a case of, "You had to be there to understand." In the late 1960s and early 1970s, plenty of young people felt as though music was an entity that shouldn't be commercialized. They were also not above using the full force of youth to rush into concerts, as was evidenced at the legendary Woodstock Festival. That dynamic was in full effect at Red Rocks that night when thousands of fans who hadn't purchased tickets congregated in the hills surrounding Red Rocks to catch a free listen to the long sold-out show. The trouble began when the "hill people" decided that they should just go ahead and force their way into the amphitheater. This did not go down well with the Denver Police Department, who have long held jurisdiction at Red Rocks on concert days. The police, feeling that it would be impossible to maintain security in any other way due to the rough terrain, began dropping tear gas out of helicopters which were flying a dangerously low watch over the crowds. Rather than acting as a deterrent, the tear gas seemed to spur the now-rioters on to further acts of violence As more tear gas began to fill the amphitheater at an alarming rate, the gate-crashers and audience alike began to pick up bottles and rocks to use as ammunition against the police. One car was overturned and burned, and many people suffered injuries ranging from broken bones to gas inhalation. Not only did the tear gas not quell the riots, it made its way to the stage at the base of the natural amphitheater. The scene could only be described as bedlam, and it had the potential to be a lot worse. Backstage at Red Rocks, Barry Fey and the members of Jethro Tull were faced with a conundrum. They could cancel the show and send the paid audience straight into a riot, or they could play the show as planned. To their everlasting credit, the members of Jethro Tull decided to go on with the show. Jethro Tull lead singer Ian Anderson took to the stage with guitar in hand and greeted the audience saying, "Welcome to World War Three!" And with a full-scale riot playing out in the hills surrounding them, and clouds of tear gas wafting onto the stage, Jethro Tull proceeded to play their full set. The band's commitment to playing on earned them praise from both the Denver Police Department and Fey, who praised the band in the Los Angeles Free Press saying, "God bless those guys. They're the most professional group I've ever worked with. I don't know anybody else that would have stayed on through all that." As long as I'm mayor, this city is not going to be turned over to rock-throwing hoodlums. If they think they're going to be allowed to run free, attacking innocent people and police officers, they have another guess coming. 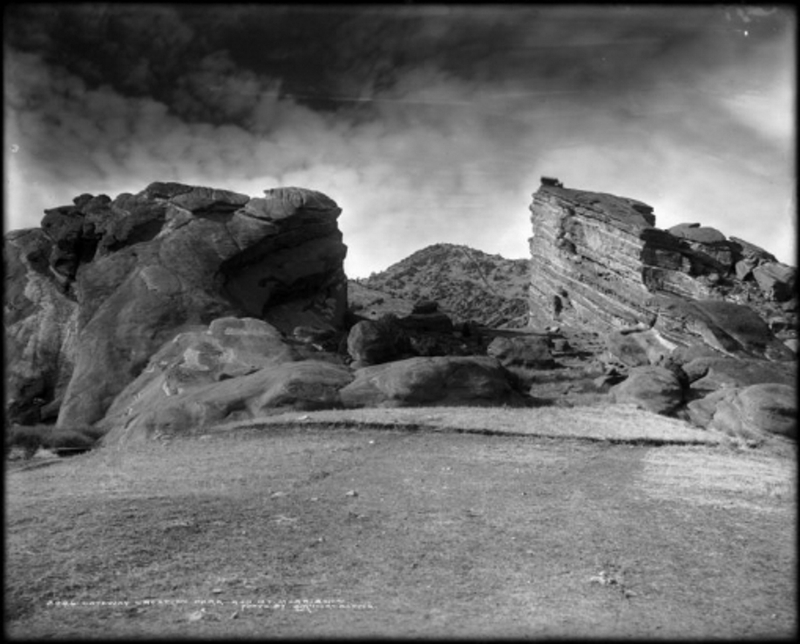 McNichols was hardly alone in his view on the future of rock 'n' roll at Red Rocks. Caught up in the moment, a clearly frustrated Fey said that he was done promoting rock shows at Red Rocks. In an interview with the Denver Post on June 11, he said, "If they (the rock artists) want to come into the (Denver) Coliseum (instead of Red Rocks), we'll do it. But most of them know of Red Rocks and wanted to play there." 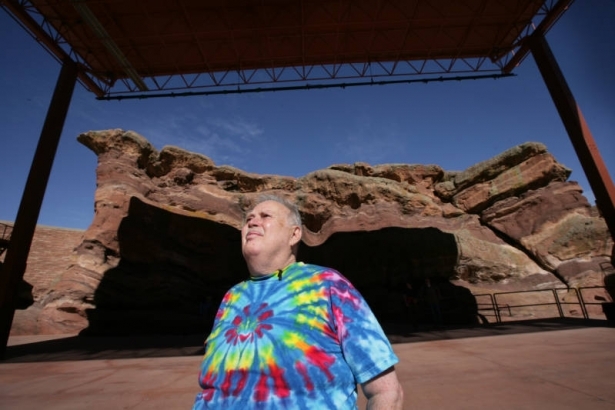 Though Fey would ultimately change his tune regarding Red Rocks, Sam Feiner, the director of the city Theatres-Arenas Division, was firm in his stance that Red Rocks's time as a rock venue had, "definitely ended." To that end, upcoming shows by hard rock heroes Poco, Chicago, and Stephen Stills were canceled. In the aftermath of the riot, there was plenty of blame to go around. While the Denver Police were accused of overreacting to the situation by dropping tear gas, most of the blame was rightly aimed at the gate-crashing rioters. At the Los Angeles Free Press, Van Ness said, "When it comes to placing blame for the events of last Thursday evening, it must rest with the kids who tried to crash the gate. But the rest of the chemistry is an all-too-familiar formula. The police reacted with fear and stupidity." At the Rocky Mountain News, music critic Thomas MacCluskey pulled no punches in a column titled, "Rock Rowdies Ruin it for Everyone." MacCluskey pointed out that this was hardly the first time that Denver music fans had acted up. He recalled that in August 1968, a riot had broken out at an Aretha Franklin show at Red Rocks after the legendary performer told the crowd that she would not be playing because she hadn't been paid. That resulted in a one-year ban on rock shows. MacCluskey used that as a jumping-off point to school an entire generation for its entitled behavior. "Yes, you 'get-something-for-nothing' generation—in fact, 'get-everything-for-nothing' fools—you caused a one-year ban on rock concerts then...You're just too cute for words." The angry critic went on to predict that there wouldn't be any rock shows at Red Rocks, "...until your little brothers and sisters come along and realize that what you're trying to do is an utter impossibility. There is no 'something-for-nothing' in this universe." MacCluskey was right, for a few years anyway. Mayor McNichols was not kidding when he said that rock shows at Red Rocks were a non-starter, as the 1972 Red Rocks schedule neatly illustrates. That summer's lineup did not rock, even a little bit. Artists on the bill that year included Joan Baez, Pat Boone and the Carpenters. And that's the way it was, right up until Fey took the City to court and won the right to once again book rock acts at Red Rocks. With a dash of typical Fey flair and marketing finesse, the legendary promoter christened the now-familiar, "Summer of Stars" series in 1976. That summer launched Red Rocks into the stratosphere and as the Summer of Stars established itself, Red Rocks became America's premiere outdoor music venue. From U2's iconic "Under a Blood Red Sky" performance in 1983 to dozens of sold-out nights with the Grateful Dead, and a list of artists that's too long to mention (but is conveniently listed on the Red Rocks' Concert Archive), Red Rocks has offered something for everyone. What's more, an evening at Red Rocks is always tinged with Colorado's natural beauty—the twinkling city lights serving as an almost magical backdrop to the music coming from the stage. Red Rocks is also a favorite spot for artists and plenty of aspiring artists have it on their bucket lists. The memorable amphitheater is so far ahead of the curve that Pollstar Magazine, a trade journal for the concert industry, awarded Red Rocks it's Best Outdoor Venue Award 11 years in a row. To give other outdoor venues a chance, Pollstar went ahead and changed the name of the accolade to the Red Rocks Award in 2001 and took Red Rocks out of the running entirely. Of course, anyone who has ever attended a show (or graduation or church service or film) at Red Rocks knows what a special place it is and how much it means to the people of Denver. And while there have been plenty of rock shows at Red Rocks since the ban was lifted, there hasn't been anything quite like the night Jethro Tull fans almost ruined Red Rocks for everyone. MORRISON, Colo. — It was a half-cloudy night at Red Rocks Amphitheatre, with boulders looming and distant lightning in the eastern sky. Singer Colin Meloy was on stage with the Decemberists, chatting up the audience. Red Rocks, 16 miles southwest of downtown Denver, is an American outdoor music venue like no other. The stage and audience areas are sheltered between a pair of 300-foot monoliths, Ship Rock and Creation Rock, with another boulder anchored behind the stage, bouncing sound forward. Whether you’re in the audience or on stage, occupying Red Rocks is like being held in the palm of a vast sandstone hand. The Beatles played in 1964 (leaving about 2,500 tickets unsold at $6.60 each). Jimi Hendrix came in 1968. When Jethro Tull appeared in 1971, legions of ticket-less fans tried to breach a fence, security forces let loose with tear gas, and a five-year rock ‘n’ roll ban began. Thank you for the excellent article on Red Rocks Amphitheatre [“A Rocking Good Time in Thin Air,” by Christopher Reynolds, July 15]. It brought back fond memories for me. As a former resident of Denver and Golden, Colo., I attended many shows there, beginning with the Smothers Brothers in the early ’60s and including the infamous Jethro Tull “tear gas” show in June 1971. (As many as 2,000 fans showed up without tickets; some tried to break through the gates, and tear gas was used, spreading over the audience.) The next year, the band entered the stage for its show at the Denver Coliseum wearing gas masks.